Nature has given mankind a lot of unique plants, one of them is aloe Vera. Its healing and therapeutic properties used for hundreds of years. This plant is full of biological substances, among which are salicylic acid, amino acids, polysaccharides, vitamins C, A and group B. the aloe Vera Gel used for beauty and health. The aloe Vera gel is not only cosmetic, but rather a kit. This remedy is suitable for absolutely any skin type. It can be used to moisturize, soothe and protect chapped, irritated and dehydrated skin. If your face needs moisture, then it's time to use the gel of this plant. 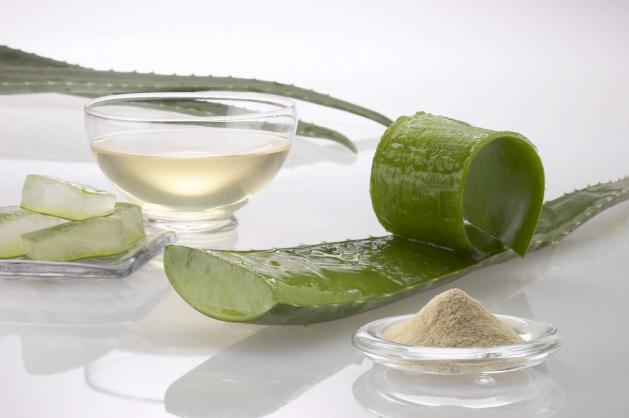 Aloe Vera has strong antibacterial action, is successfully used in cosmetics to treat acne. Fresh aloe Vera gel is not only suitable for outdoor but also for indoor use. It facilitates digestion, eases the pain of rheumatism and arthritis, stimulates circulation of lymph and blood circulation. Aloe gel is known for huge content of nutrients, among which should be noted amino acids and minerals, which ensure the regeneration of skin cells. Aloe Vera has received wide recognition for its unique properties, with gel effectively treat skin irritations and cuts, insect bites and burns. Included with aloe, vitamins, polysaccharides and enzymes responsible for regenerating and immunopotential action. The gel helps to eliminate the effects of solar and thermal burns. When using aloe Vera is instantly healing and decrease pain at the site of application. The epidermis literally becomes saturated with moisture and vitamins, smoothes wrinkles, slows the aging process of the skin. When using aloe Vera gel as a cold wrap, you can relieve fatigue and swelling of tissues, make the skin young, soft and hydrated. The gel of the plant is very quickly absorbed with no residue, leaving no trace. If you are the owner of sensitive skin, waxing or shaving causes discomfort or irritation, apply aloe Vera gel on the skin in a thin layer immediately after the procedure. It is recommended to use aloe Vera gel daily. Apply it to the entire body and face with a thin layer. If the gel is used as a wound-healing agent or a moisturizing mask, then it needs to apply a generous layer and leave on for twenty minutes, then make a light massage and remove the balance with a soft cloth. A cold wrap is recommended for half an hour. Apply a thin layer to the places of wounds, burns, insect bites, use to restore the moisture balance in the epidermis.